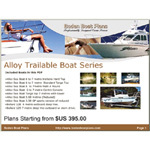 A 4.3 metre conventional aluminium Bass Boat style craft recommended for sheltered water use. 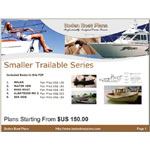 Tough 3mm plate hull is easily constructed from fully detailed plans. 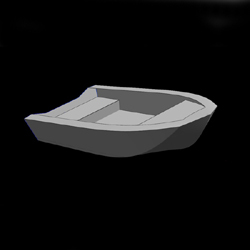 A very practical boat,with moderate deadrise on bottom. 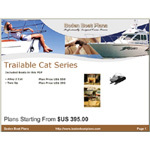 Ideally suited to bass fishing in inland waterways and for general pleasure use in sheltered waterways. Craft has Wide cross seats to give it exceptional strength but also to provide space for in situ polyurethane floatation material in excess of the minimum code requirements. 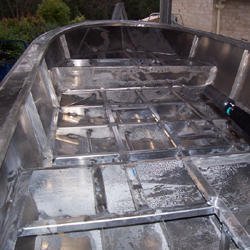 Craft has an aluminium or plywood floor. Also available as a CNC kit - contact us for price.